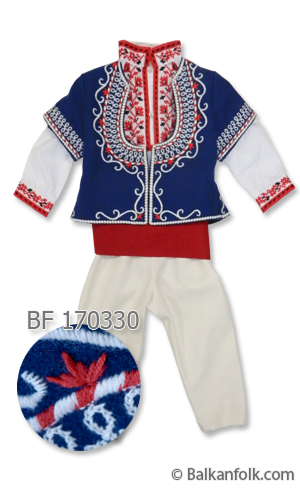 Bulgarian traditional costume for baby (boy) from Sofia Region (BF 170330). Costume is made in three sizes : baby 9 months, 1 year and 2 years. The time for making the costume is 30 calendar days.